The Latezonatus Clownfish is a highly sought after but rarely collected and expensive clownfish from the cool waters of Australia. Captive bred specimens have been produced, but tend to be misbarred and have markings different from wild Latezonatus. 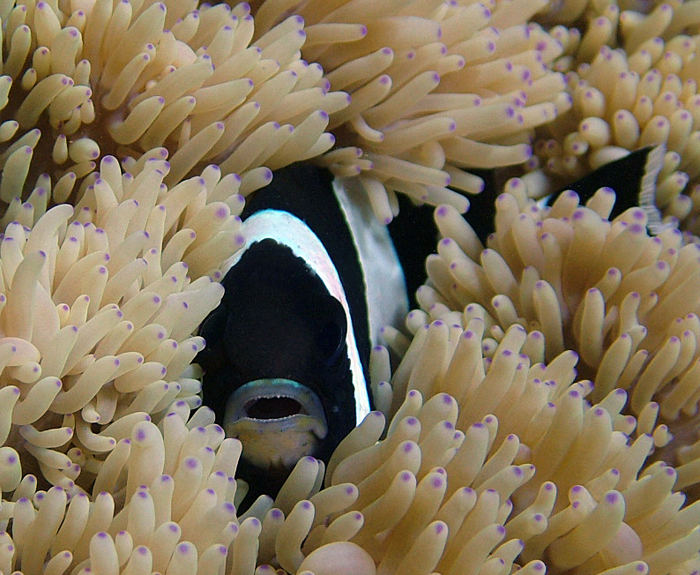 This species is semi-aggressive with unrelated species and aggressive with other clownfish. When pairing, Latezonatus males and females should be introduced to one another with caution. They’re omnivores that will feed on a variety of foods in captivity. They are hosted by H. crispa Sebae anemones in the wild, but may use other species of anemones such as E. quadricolor as surrogates.